As 2016 rapidly comes to an end, I think we can all agree that it was a year of mixed reviews. . . which is all the more reason to nail down the motives and ways to learn, grow and truly be a work in progress towards the best “you” that only you can be! The best way to do this is to start small and take baby steps, otherwise it becomes an overwhelming and heavy task (that most of us tend to give up on pretty quickly). So let’s take one aspect of your life, as a stylist, and set some goals. Here are a few ideas to get things rolling because 2017 is your year! These are 9 simple resolutions for you to keep in mind, as a stylist, while you work towards bigger goals. Yeah, there’s a reason this is at the top of the list. First of all, it’s simple and totally doable, but it all comes down to taking better care of yourself. As a stylist, you spend the majority of your time on your feet, which can take a major toll after a while. Save yourself the trouble down the road, and invest in wearing shoes that aren’t so hard on your feet. Never stop educating yourself and keeping your mind open to all the new trends that manifest over time. Don’t get caught up in the daily flow of things, that’s how it gets boring. Jump out of your comfort zone by pushing yourself to learn and master something new. With the ever-growing beauty industry, that should be no problem! This is always the goal, right? Also a great way to keep things fresh, so put yourself out there with confidence and focus on always giving your 100% best. Your clients will notice and stick around. Three great ways to expand your book are: take your business cards everywhere and hand them out to everyone, be active on social media, and offer an incentive for client referrals. Social media is the way the world is run these days. Take the time and effort into really making your social media channels reflect your personality and show off the great work that you do. There are so many ways to engage with your followers and gain new ones! Tip: Post a high quality photo of a before and after client that you felt challenged by. Networking is the key to success in any industry. Beauty professionals are no exception. Attending events and being involved in the beauty community is always a great way to make new business contacts, get new ideas, learn new techniques, AND even take a little break! So say yes to the next conference invite you get. You never know what might come of it. The life of a stylist can get crazy to the point of only consuming caffeine just to get by. It’s understandable, but it doesn’t mean it’s not something to work on. So, this year, instead of working straight through your lunches and settling for cold coffee for dinner, make your meals a priority! If you can do amazing hair while hungry and exhausted, imagine the hair you could do being healthy and energized! You are what you eat, right? We already touched on how much you are on your feet everyday, so along with wearing more comfortable shoes, take some time between clients or in processing times to rest up. Your back, knees, and pretty much everything will thank you. Creativity should never be a competition. One of the greatest things about being in the beauty industry is your access to talented, creative, and innovative artists. It’s easy to become intimidated by greatness, but don’t let that cause you to become spiteful. Great stylists will always encourage and build one another up. They know that there is enough success to go around! You’ve taken the time to nail down and learn what it takes to make yourself successful, which makes this a perfect opportunity to pay it forward and lend your skills to those that may be less fortunate or just need a moral boost. Trust me, you’ll feel all the good-feels after. If you’re looking for ways to give back to your local Boise community, check out the Boise Rescue Mission Ministries volunteer page to see how your skills could benefit the homeless. If you find yourself looking to volunteer in the Twin Falls area, consider giving your time to a fellow woman in need. The Crisis Center of South Central Idaho helps to protect victims of sexual assault or domestic violence, visit their website to see how you can make a difference. If you want to know even MORE ways to help, check out our Giving Back to Boise blog here! 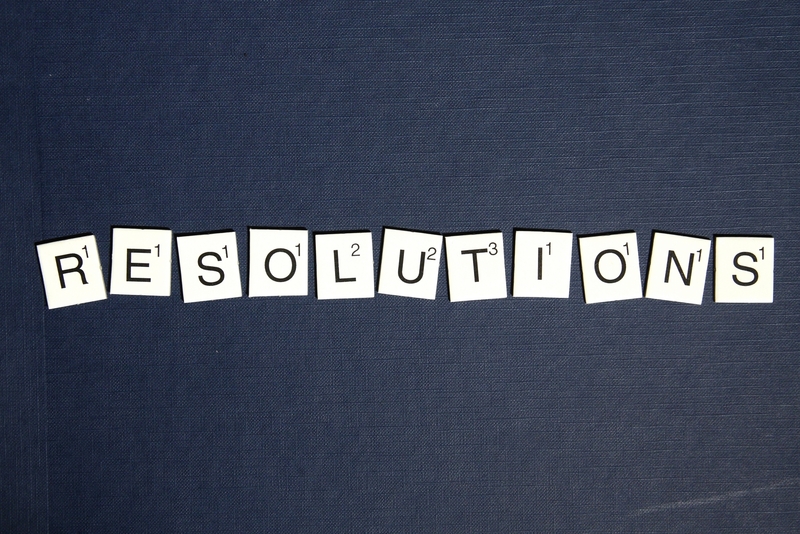 Do have some resolutions of your own? Tell us in the comments! Did these resolutions make you consider a career as a hairstylist? Check out our cosmetology program to see if this is the right fit for you!